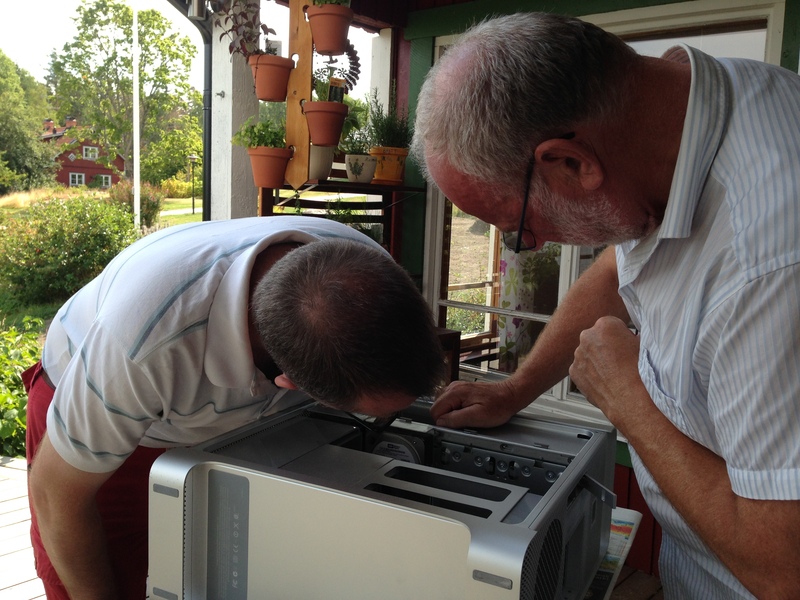 As we couldn’t get it up and working we figured a special retirement of the once so useful and powerful computer was in order. 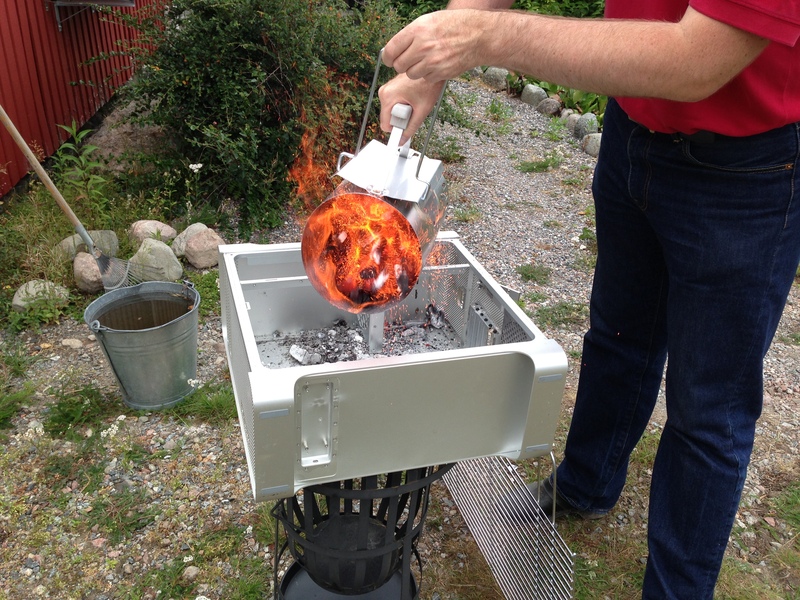 Hubby had read online about people transforming their old Mac Pros to grills so he wanted to try to do the same. 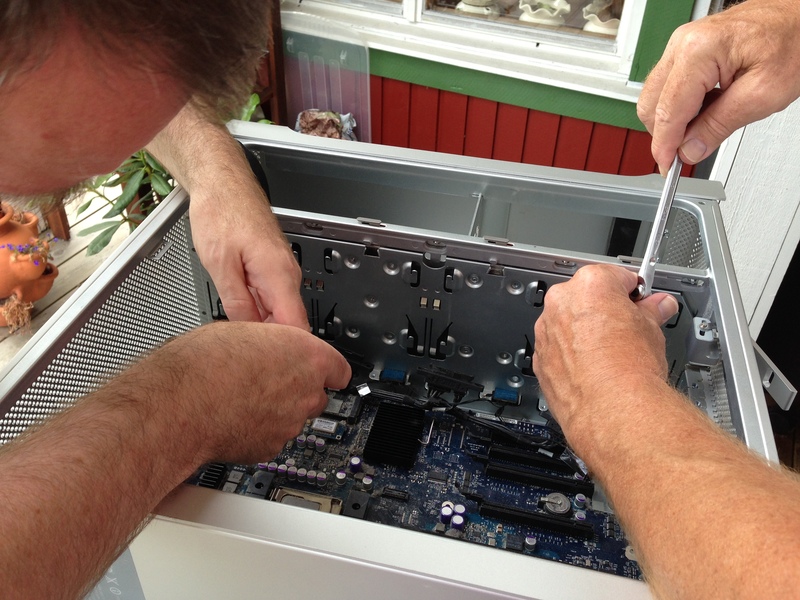 First thing he had to do was to remove all the content so only the aluminum cover was left. Turned out to be quite a tedious job as it was put together very cleverly. Hidden screws and other things had my hubby and father working for almost 3 hours (minus a little break for coffee and cake) disassembling the computer. 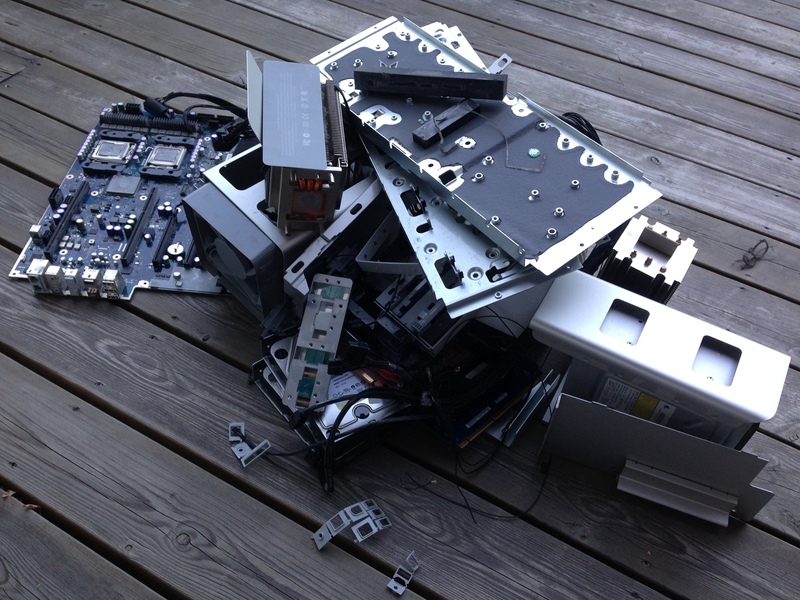 Eventually everything inside the computer was laying on the floor. It’s quite amazing to think that someone made all this different parts fit together so perfectly inside a “small” box. 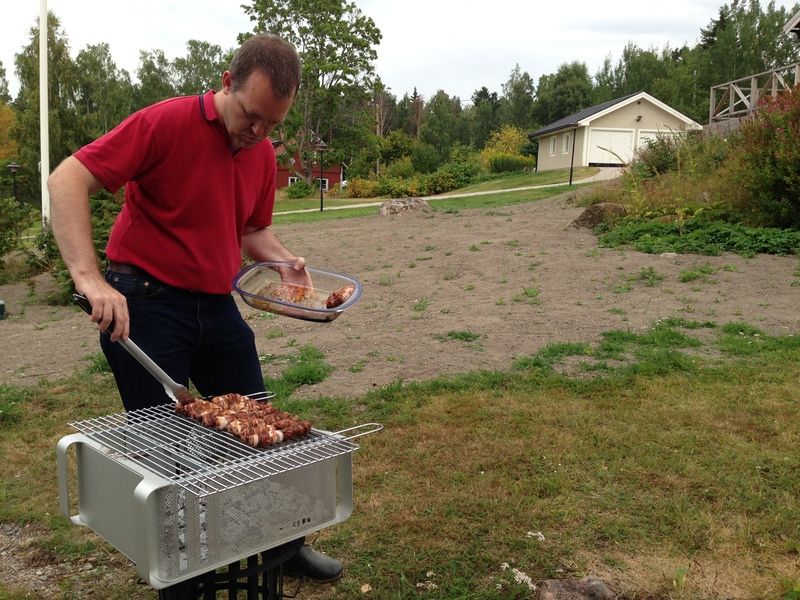 We didn’t have any charcoal nor a suitable cooking grid that day but two days later it was finally time to try out our new nerd grill as we’ve nicknamed the newest member of our BBQ family. The grill worked out great! Now we only need to find a better stand for it and we’ll be rocking our Apple Mac Pro BBQ for a long time!